MSC Fantasia arrived at the Port of Kiel’s Ostseekai berth from St Petersburg in Russia on 2 September, marking MSC Cruises’ 350th visit to the German port. To mark the anniversary, the port’s cruise shipping director Nicole Claus welcomed the ship’s captain Guiseppe Galano. Together, Galano and Claus unveiled a bronze plaque on Kiel’s Cruise Ship Walk of Fame, which honours shipping companies and events that are of special significance for Kiel as a cruise shipping location. MSC’s cruise ships have been regularly calling at the port of Kiel for twelve years, after the first vessel visited on 4 September 2005. The company began using Kiel as a base port in 2006 and since then, the city has been a constituent part of the company’s northern Europe route planning. To date, nine different MSC cruise ships have visited Kiel, while 1.3 million passengers have embarked or disembarked from an MSC cruise ship in the city. “With 350 visits to the port under its belt, MSC is the cruise shipping company which has been our most frequent caller to date,” said Claus. 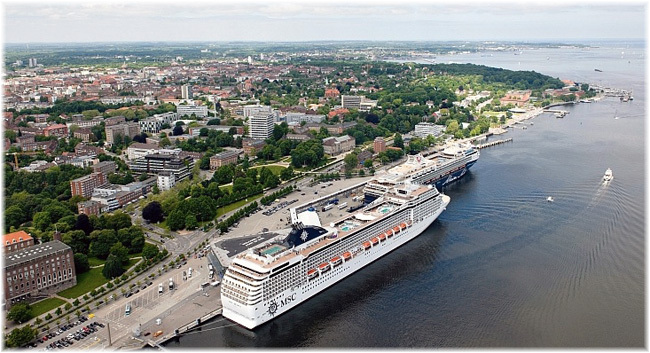 MSC Fantasia has already undertaken 18 cruises from Kiel this season. Three more are to follow up to the season finale on 16 September, when the ship heads for the Mediterranean. These northern Europe cruises take guests to Baltic destinations including Copenhagen, Denmark; Stockholm, Sweden; Tallinn, Estonia; Helsinki, Finland; St Petersburg. The ship also sails from Kiel to Copenhagen and the Norwegian fjords in Geiranger, Flåm and Stavanger. MSC and Mein Schiff in the Port of Kiel. International cruise ship passengers who board in Copenhagen can enjoy day excursions ashore from the port of Kiel into the surrounding region and to the Hanse city of Lübeck and the north German metropolis of Hamburg. This year, Kiel will host 142 calls from 28 different ships, which will bring around half a million cruise ship passengers to the port. In addition, about 1.6 million ferry passengers will pass through the port. MSC will return to the UK in 2018 with Magnifica sailing its first full season ex-UK programme. The ship, which launched in 2009, will make Southampton its home for eight months from April until November. The company also revealed it will operate its first world cruise in 2019. UK managing director Antonio Paradiso announced the ‘big UK comeback’ at their All Star of the Seas event held on Sunday November 13 onboard the MSC Fantasia in Barcelona. Paradiso said: “We are coming back to the UK with our ship Magnifica for a whole season, it is a big comeback for us and we are very excited. “It marks a new dedication from MSC to the UK market and how we want to be one of the most popular cruise lines in the country. “We have created itineraries that make the most of the British Isles and the best of what are customers can experience out of their own country. There will be five new itineraries out of Southampton including a 14-day sailing calling at Le Havre, La Coruna, Leixoes, Lisbon, Malaga then Amsterdam and Hamburg. A North Sea sailing will travel to Stavanger, Bergen, Olden and Alesund in Norway plus a round-UK sailing calling at Southampton, Newcastle, South Queensferry in Edinburgh and Invergordon. Following the UK sailings, the Magnifica will then host the company’s first ever world cruise from January 2019. The 119-day itinerary will visit 32 countries with 49 ports of call with some destinations including Panama, San Francisco, Melbourne and Petra in Jordan. 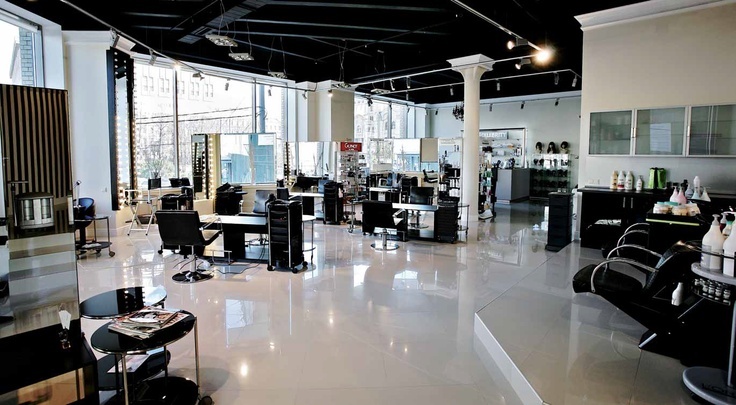 Paradiso said: “This will open up a whole new market for us and it is something we have waited a long time to do. Bookings for the ex-UK Magnifica sailings will be available in early 2017, no set date has been released yet.